Don’t like the dark user interface and color scheme of the Photoshop CS6 beta? You can easily change it by cycling through four different theme choices, ranging from the default darkest grey, dark grey, medium grey, and light gray. 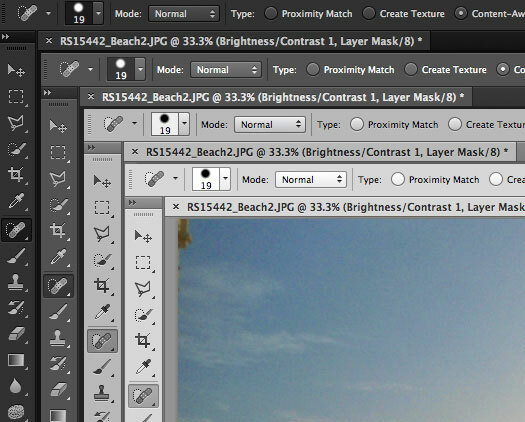 Hit Shift+Function+F2 to lighten the Photoshop UI or Shift+Function+F1 to darken the interface elements. If you’re averse to keyboard commands, you can find the interface options within Photoshop Preferences as well. This tip comes to us from the unofficial Photoshopsupport.com, thanks for sending it in Max! it doesn’t work for me, option is alt instn’t it? its shift + F1 to darken and shift+F2 to lighten for Mac. Thank you, thank you, thank you, I hated that dark look! @Ruben Stadman option is not alt just press shift+F2 to lighten and shift+F1 to darken photoshop UI. So glad to be able customize all the way from dark gray to light gray! Great tip – really not lovin’ the dark theme! it works but it when i create new page it again shows dark black background so can you Solve this problem? ?